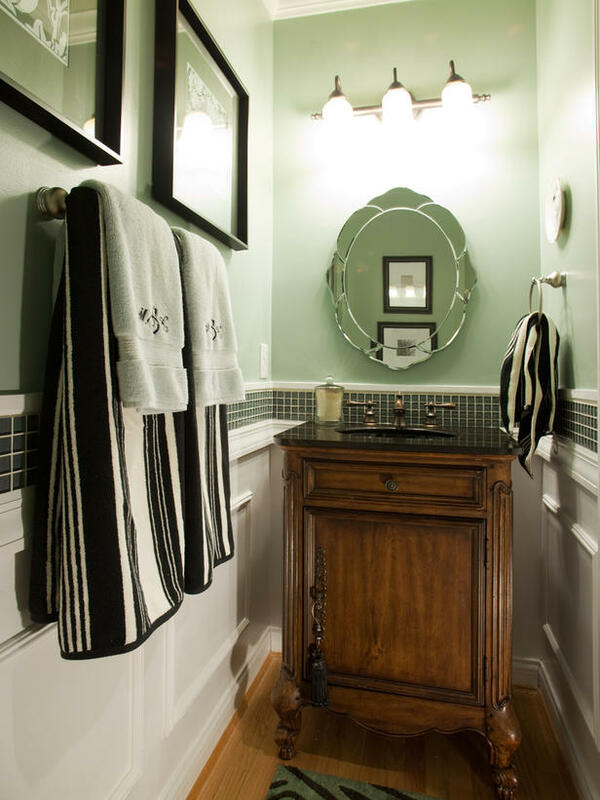 Powder Room Vanity Furniture – Aside of the bathroom, powder room is also important to accommodate guests needs. Usually, powder room is sited not too far from the living room to ease the guests to reach the room. Therefore, it is just not cool if you don’t give the best detail to the design. 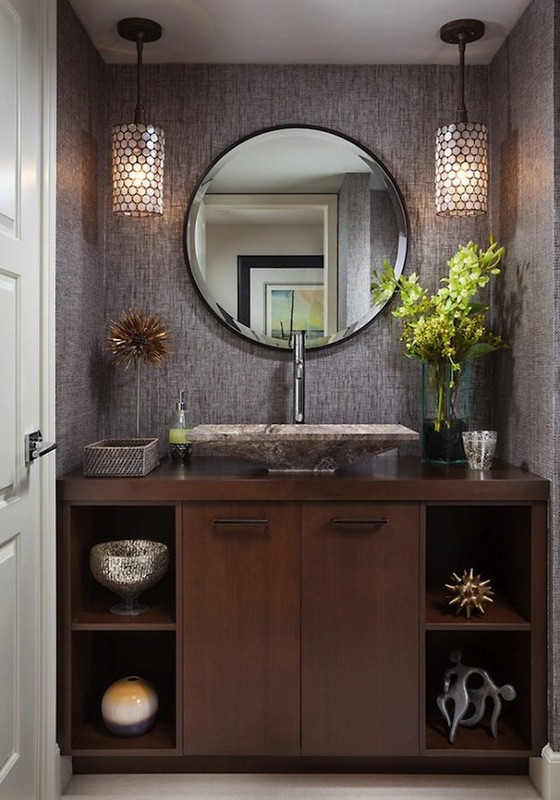 you have to max the outlook of the powder room so your guests will get the best impression. Some unique ideas of vanity for powder room are ready to complete your design with artistic and awesome look. Here you enjoy the pictures! The first unique and modern powder room vanity is the one in the shape of bicycle. 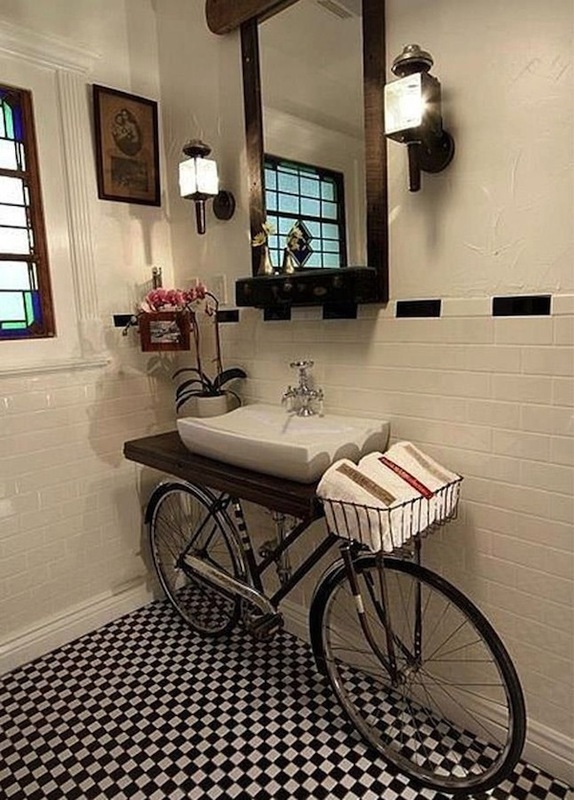 Yeah, it is truly a unique idea to have a bicycle in the powder room. there is wooden board added on the saddle, so the toiletries are able to load on. There is also a modern white sink attached on the wooden board while the basket in the front is used to be the linen storage. To match the whole look, the mirror stacked on the wall is framed with unique black carved detail. It must be the most appealing design to impress your guests more and more. Another vanity powder room is a simple vanity design which is made of wood. However, it contains awesome detail shown by the rustic appearance. Yeah, it looks like vintage vanity design with open slots and the closed ones. The round wall mirror added gives perfect solution for every guest to dress up in the very rushing time. 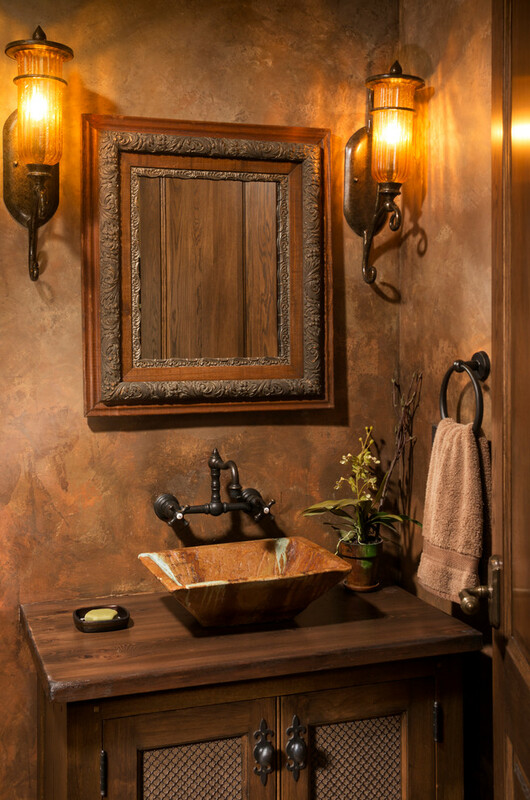 the sink added is also as rustic as the cabinetry that makes the design completely made for people with high artistry. Thanks to the indoor plants brought inside the home and also the pendants shaded with awesome transparent material! 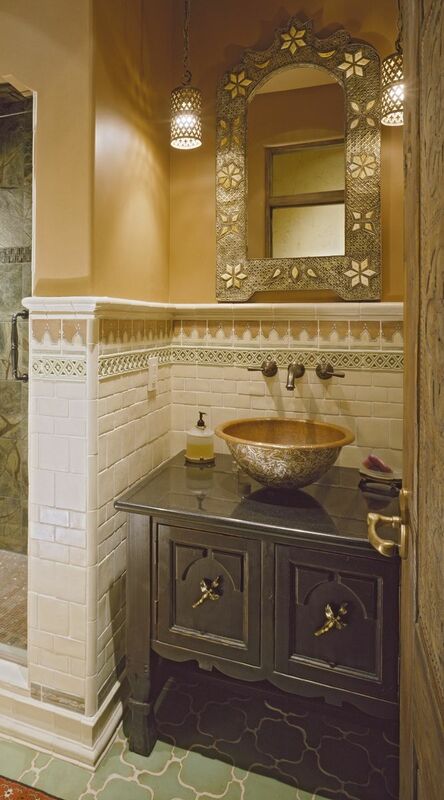 Giving the best accent to the powder room is always as interesting as putting some flowers to the table centerpiece. In a very narrow powder room design, you can have an elegant white vintage vanity idea with some beautiful colorful linen added. Aside of the open storage containing some colorful towels exhibited with stunning way, it also gives more private storage in the form of drawers. 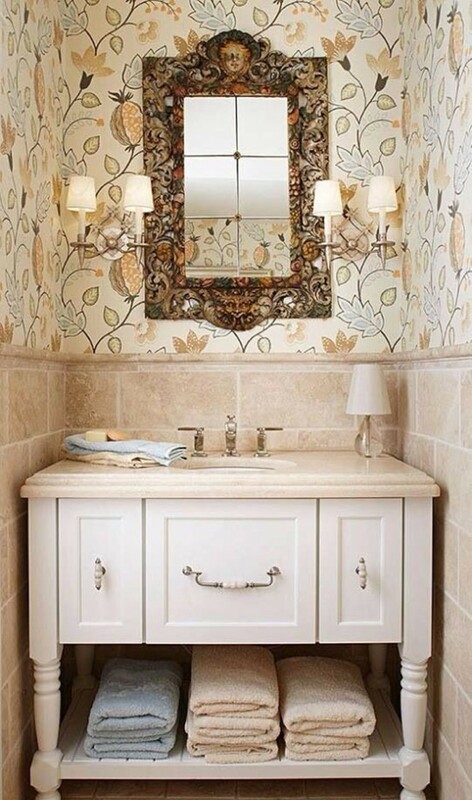 aside of the recessed sink with antique faucet added, this vanity design is also gorgeous with rustic framed wall mirror flanked between two elegant white shaded wall lamps. Thanks to the creamy patterned wallpaper that shares the nuance of calming effect. I like how the designer perfectly matches some colors in this very small room!